Home » How Much is My Personal Injury Case Worth? If you’re facing injuries and are suing for damages, you’re probably also inclined to wonder how much your case is worth. The truth is, there’s no way to predict that number. There are far too many variables involved for it to be a simple equation and calculated using a basic algorithm. What we can do, is talk about the many factors involved that determine the ultimate value of your personal injury lawsuit. Of course, the best solution is to reach out to an experienced personal injury lawyer who can help you work through your case. What are You Entitled to Sue for in a Personal Injury Lawsuit? We break damages in a personal injury lawsuit down into two types: economic and non-economic damages. These relate directly to money you have lost or will lose due to your injury. You may collect on both present and future lost wages. If you will no longer be able to work because of your injuries, you may collect on that as well. 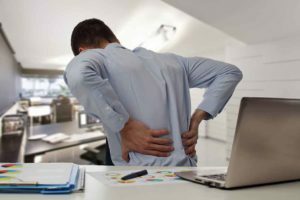 To determine pain and suffering, a jury, once they have found in favor of the plaintiff, will assign some number to each day and then multiply that number by the total amount of days the plaintiff experienced pain. In other words, it’s determined on a per diem basis. The same holds true for emotional anguish. In cases where there is a permanent disability such as impairment or disfigurement, jury awards tend to be much higher. Personal injury calculators tend to neglect many of the subjective elements that go into determining how much a case is worth. How much will a jury assign for your pain and suffering on a per diem basis? It’s impossible to guess. Another thing that personal injury calculators neglect to consider is the how the loss of enjoyment will factor into your unique case. For instance, let’s say that you are in a slip and fall accident and you injure or break your wrist. You can still work, but you’re an avid amateur tennis player. Obviously, you can’t swing a racket until your wrist is completely healed. That could take up to six months. The jury will consider that when assigning a value to your slip and fall lawsuit. There are two things to consider when dealing with insurance companies. The majority of them use a claims adjuster software to determine how much they believe they should be paying out in your lawsuit. They are also quite stingy when it comes to initial offers. For instance, if you’ve just been in an auto accident, there’s a strong chance that you’ve run into Colossus. You may not be aware of it, however. Colossus is the claims adjustment software used by major insurance companies like Allstate. Claims adjusters for the insurance company will punch in a series of numbers that represent thousands of variables for your particular case. Generally speaking, these values may or may not have any bearing on your situation. In the end, it’s not for Colossus to determine the value of your case unless you take the first offer that the insurance company gives you. The first offer that the insurance company gives you represents the minimum value of your case. Many of the values that people plug into Colossus are going to be on the lower end. In other words, the insurance company is assuming that your pain and suffering is comparable to a minor annoyance. It’s important to remember that insurance companies are for-profit companies. Their aim is to turn a profit, not help you recover damages for your injuries. In fact, a consumer alert was issued for those who have recently been in auto accidents. It warns accident victims about the role of programs like Colossus in diminishing the value of their claim. Insurance companies also know that you’re in a difficult situation. You may be out of work and your finances may be in peril. On the other hand, there are certain things that you know about insurance companies too. Firstly, insurance companies want to avoid trying your case before a jury. Jury trials are expensive and they run the risk of producing a larger payment than their best settlement offer. Secondly, you probably aren’t aware of how insurance companies make the majority of their money. It isn’t from monthly premiums. While those provide a steady source of income, the insurance company isn’t simply depositing that money into some bank account; they’re investing it in the market. The longer they hold onto it, the more money they make from it. If you’re in a situation where the insurance company is denying a very solid claim, this can very well be the reason why. It’s simply more lucrative to stall. If that means threatening a trial and then backing out at the last minute, then that’s what they’ll do. It may force you into the position of settling due to financial hardship, or it may simply increase the return on their investment. Either way, that’s a win-win for them. On the other hand, this is where simply waiting them out can create a win for you. Quick claims are not in your best interest. Litigation does take time. In the end, forcing the insurance company to pay out the full value of your claim, which can very well be the entire value of their coverage, is in your best interest. Insurance companies see those who are not represented by attorneys as low-hanging fruit. In other words, they’re easy targets. They know that you can’t threaten litigation or take the case to court, so they are more likely to low-ball the offer. The personal injury attorneys at the Olson Law Firm understand how insurance companies operate and can maximize your settlement and help get you back on your feet. Contact us online and we can begin discussing your case immediately.